Love knows no Boundaries and D, Deals Death. 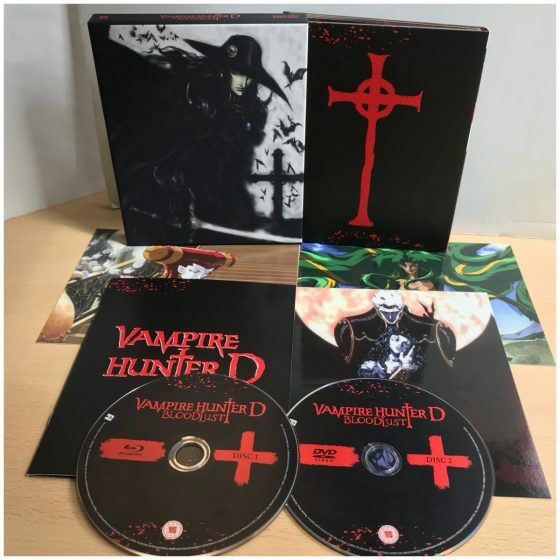 Writer/director Yoshiaki Kawajiri (Wicked City, Lensman) brings us a film based on the third novel of Hideyuki Kikuchi‘s Vampire Hunter D series. Following on from Toyoo Ashida‘s (Fist of the North Star) 1985 original film. 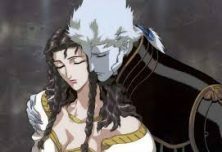 I mention this as if you have seen the original film, when watching this 2001 film you will believe it was animated at the same time as the animation style of the sequel pays brilliant homage to the techniques, colour palette and feel of the original. Brilliant. The beautiful Charlotte has stolen Baron Meier Link’s heart and he is prepared to steal her away as Charlotte’s father Elbourne hates the fact that the Baron is a Vampire nobleman. When Charlotte disappears Elbourne calls in D to find her and retrieve her and if she has been turned to dispatch her as humanly possible. Elbourne gives D a down payment with the promise of $10,000,000 when the job is done, but this is a difficult job and D wont do it unless he gets $20, 000,000. Reluctantly Elbourne agrees. 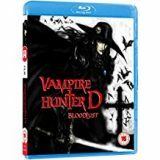 D finds out that Charlotte’s older brother has also taken offence at the abduction and has also hired a band of Vampire hunters ‘the notorious Marcus brothers’, composed of the leader Borgoff, a hulking man named Nolt, a blade master named Kyle, a physically disabled psychic named Grove and a woman named Leila and they have a head start. Meier Link knows Elbourne will send people after him so he hires the mutant Barbarois; a group of lethal mercenary body guards. They consist of Caroline, a shape shifter; Benge, a shadow manipulator; and Machira, a werewolf, to take out the pursuers. Baron Meier Link has a plan for Charlotte and himself and it is up to D and the others to stop him. Can it be done, can they defeat the mutants? Or is there more to the story than we are being told. 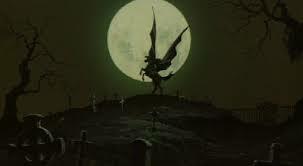 You find out in Vampire Hunter D: Bloodlust. A Modern classic that deserves to be in your collection and hopefully there is more in the pipeline.